I love the variety of expertise amongst the contestants, you really do not know who is going to win each challenge. Oh and that Claudia, whilst being great fun, seems to have accumulated no sewing knowledge what so ever. I love the GBSB! I think, if I have to choose just one, my favourite thing would be how it promotes the idea that sewing can be for anyone. I love the variety of backgrounds of the contestants and it's so great to see some really talented men sewing! My favourite thing about is feeling like you're in the room with them, without the pressure our gallant contestants are under! Ooo! Thanks for the chance of winning. My favourite thing about The Bee is that there is sewing on the telly! 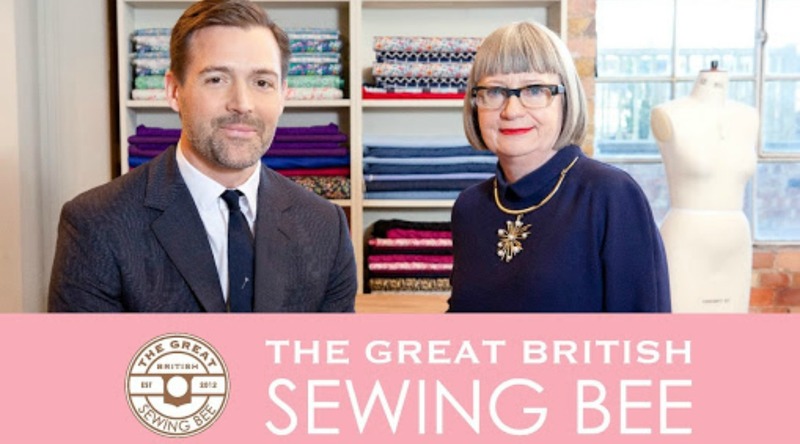 I love how the GBSB shows the spirit of the sewing community. Even in the first episode, complete strangers were helping each other with the challenges and were super friendly to each other. 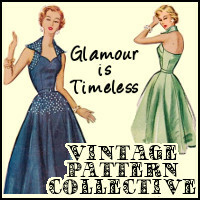 I love to see how the contestants develop and of course the wonderful garments they produce. I don't envy them having to work at that level of pressure though!!! 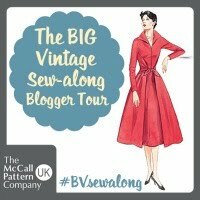 The sewing bee is something I look forward to each year! It gives you inspiration to get sewing. Thank you for the chance of winning. 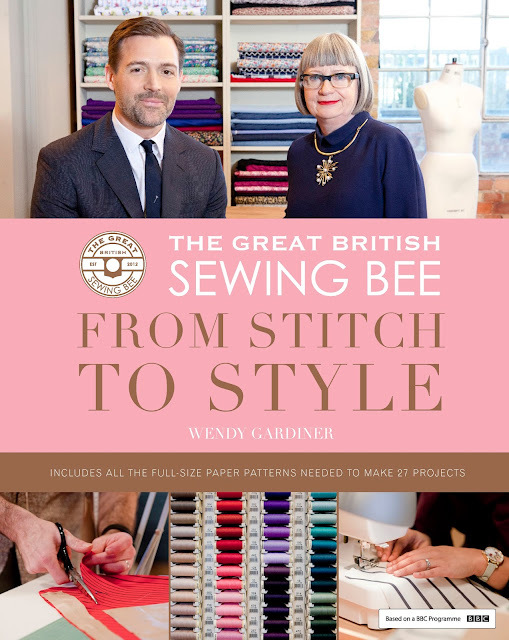 Thanks for the chance to win the sewing bee book! I love that there is sewing on tv, love the judges, and how they bring out the personalities of the contestants! Oh! and of course I love Claudia! In fact, I love everything about it LOL! Probably my favourite thing is seeing the different interpretations the contestants have of the same pattern. I find it very inspiring and tend to run to my machine as soon as the credits roll. Other favourite thing, the haberdashery, wouldn't it be fun to have access to all that! My favourite thing is the inspiration. 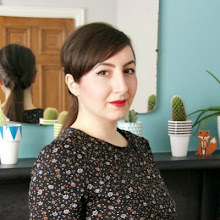 I'm new to dress making and seeing others conquer tricky tasks encourages me to give it a go. That, and the friendly atmosphere in the room. I don't like watching overly competitive people so I like seeing the sewers help each otherout. I love GBSB! It has inspired me to take up sewing, and I am now completely obsessed! I love watching their progress throughout the series and how they cope with sewing under such immense pressure. Love this show. I have found so much inspiration in how the contestants struggle/succeed and am so jazzed about this new season.. amazing!!!! This interview was a great insight and I can't wait to dig in to this book. I love that the show has been an encouragement to so many people from different lifestles, ages, genders and race to take up their pins and scissors, and get Granny's sewing machine out of the attic. I love seeing how each contestants interpretation of a task & watching how their confidence & sills develop through the series. I love all things about the GBSB but the best thing is that it's so popular that they've made so many series. It shows that sewing really is a great hobby and I think it makes it more accessible. Plus, that haberdashery!!!! I love the alteration challenge, it's really interesting to see what everyone does with exactly the same item! Thanks for the chance to win! I love the alteration challenge. It's great to see the range of inspiration and creativity. As a beginner sewer the sewing bee helps things that seem impossible appear more achievable, and I always feel inspired to try out new techniques. I have the last sewing bee book, and love the chance to win the new one! My favourite thing about the great British sewing bee is learning new techniques and thinking to myself I wonder if I could do that? I admire the contestants' bravery. I have been sewing for 60 years but would never be brave enough or fast enough to complete those projects. Great interview. I love to see that other people have those things that go wrong and they have to quickly remedy. It's refreshing to see that everyone has those same experiences, even if they are more experienced. Thank you for a chance to win this amazing book!! It looks wonderful! Gosh I love everything about the sewing bee... 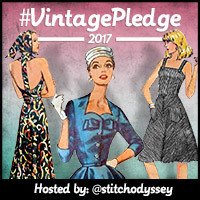 The alteration challenge is so creative and makes you think outside the box but I love the made to measure challenge too! I really enjoy watching how each person approaches the same task in their own way and what they achieve at the end, hopefully with a great garment, to win the judges over. 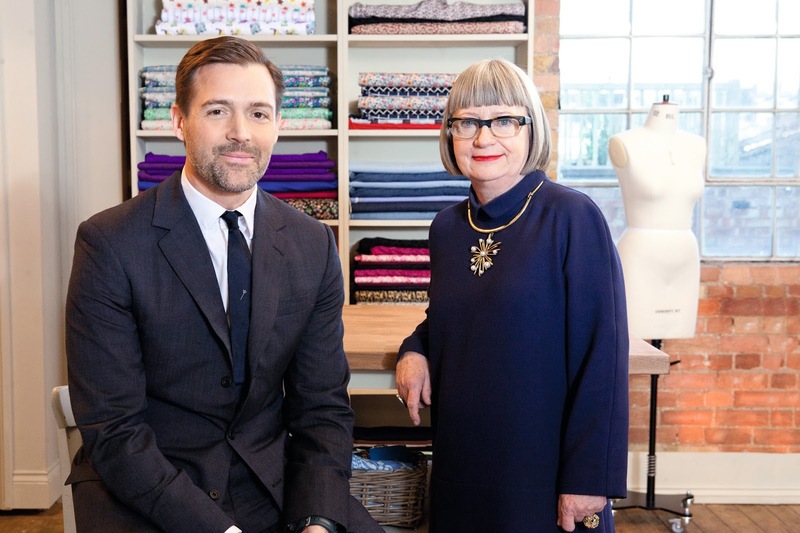 What I love best about the Sewing Bee is getting to know the contestants, and seeing how their skills increase as the series goes on. But actually I love everything about the Sewing Bee, I watch each episode over and over! I'm in Ireland, not the UK but sure we're only just next door! Thank you for holding this giveaway. I think it's great to watch a sewing program on television. There used to be a few some years ago. There should be more. I love seeing the progression of everyone's skills and the fact that there are men sewing as well. Great programme all round. I watched the first British Sewing Bee online (on youtube I believe) and I was enthralled! I loved it!!! It was so inspiring! It made me want to learn to sew clothes so badly! Unfortunately, I couldn't find the second series online anywhere and was very sad.... A quick search I made again just now has it showing up on youtube again so I will definately be checking that out!! If not, please disregard my comment above. My favourite thing about the Sewing Bee is watching all the different techniques and tips that different sewists have. T also love seeing the fabric choices and seeing them develop their skills. It's lovely when they help each other even though it's a competition. I always feel really inspired and ready to sew after watching the Great British Sewing Bee. I have been known to start making a garment straight after the show and into the night!! I like the way the contestants are willing to help each other even though they're panicking themselves. 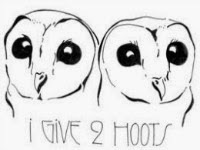 I love that GBSB made sewing cool, that it helped people like me come out of the woodwork and reach out to the community and make sewing friends. 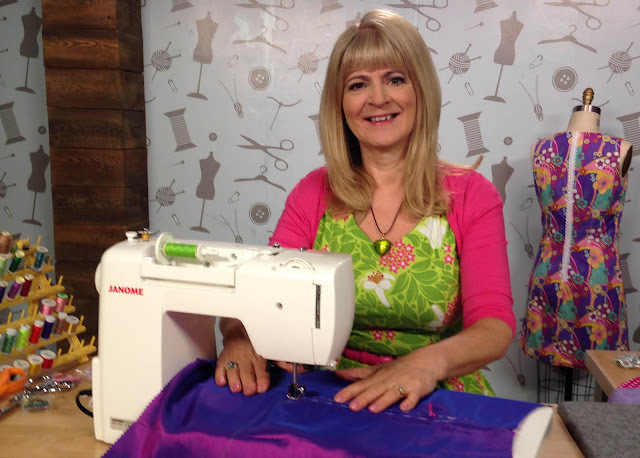 Firstly I love that there is a program on main stream telly about sewing!! But I think my favourite part is the alteration challenge, I love seeing how many different things can be made from one garment! Recycling, creative and inspirational in one. I like that there is sewing on TV and I like the way they show the camaraderie between the contestants. They're so brave! I enjoy the GBSB - wish it were on for longer. Ooooo, well I agree with Jayne, I love the fact that what my friends used to consider a slightly odd habit has now become mainstream and in fact many are jealous of my handmade wardrobe! However for me it's the gems you get from Patrick and his co-judge, this year Esme but I loved May's comments too. A good way to work the odd trick or couture technique into my own sewing. However... not much beats Claudia's comments, and my overlocker has been known as the Overlord ever since...! My favourite thing is watching the show with a couple of friends who are also keen sewers as it makes our solitary pastime a little more sociable. I think GBSB has inspired quite a lot of people to start sewing or pick it up again after not having sewn anything for quite a while. My favourite thing about the Great British Sewing Bee is that it shows people who don't sew how garments are constructed. I'm hoping it helps reduce cheap fashion by making people pay more attention to the way their clothes are made and maybe inspire more to upcycle our out of date garments rather than just get rid of them. I love seeing how the sewers tackle the challenges. It's great to see what works and what doesnt - I pick up so many tips to try! I love that gbsb brings sewing more main stream, my friends always thought I was terribly old fashioned to sew but now its just accepted. i love the gbsb because i like to see everyone's different style come through on what they make. plus i often get to learn new techniques along the way. The best thing about GBSB is that most of the garments are so awful that I don't feel so bad about my own not very good makes. I love the fact that when I'm in a bit of a sewing slump, it inspires me to keep going and be creative. My favourite thing about the GBSB has to be having my own time infront of the telly to relax. I live with my parents (I know, lucky me right?!) so my telly time is limited but it's my one hour a week when it's on that I can sit, destress and not worry about whether what I'm making is going to fit and whether I'm making too much mess! I love the final challenge when the contestants get to chose their version of a garment. It's so interesting to see how each of them interprets the brief...for better or worse! My mum has been sewing for as long I can remember and made countless items. She even wanted to make my wedding dress! So I suppose it was fate that sooner or later I'd be wanting to try my hand at sewing. I am a beginner that just received my first sewing machine and can't wait to progress from simple shopping bags to dresses. I love the GBSB because it gives me inspiration and shows how certain fabrics behave, and certain techniques. I am enthralled! It's such a treat to have it back and have an hour of sewing telly watching! You know I could write about how nice it is to sewing on tv and how inspirational it is - but I'd be lying. It's Patrick.